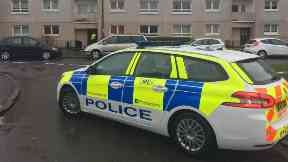 Court heard Haider Hayat was found with his throat slashed in Castlemilk, Glasgow last year. A pathologist told a jury an alleged murder victim was hit 100 times on the head with a hammer then had his throat cut. Haider Hayat was allegedly murdered by his wife Saima Hayat, 33, her best friend Shahida Abid, 33, and her husband Muhammed Rauf, 42 in Castlemilk, Glasgow. 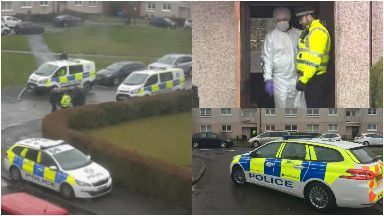 Dr Marjorie Turner said Haider was found dead in a bedroom of his wife's home on Raithburn Road with a hammer and a knife lying beside him. She said the cause of death was blunt force injury. Dr Turner was asked how many injuries Haider had to his head and neck and replied: "There was in the region of at least 100 blows delivered to his head and neck as best I can estimate." The pathologist revealed Haider suffered multiple fractures to his skull as well as a broken jaw and cheekbone. She was shown a claw hammer found at the scene and asked if it could have caused the blunt force injuries and replied: "They are consistent with that hammer." The pathologist was also shown two knives and said they could have caused the injuries to Haider's throat and added: "There were multiple cuts into his neck." The jury heard there were injuries to Haider's arms which Dr Turner said could be defensive injuries. Mr Goddard asked Dr Turner: "What degree of force would be needed to inflict these injuries?" and she replied: "The total force is certainly considerable. There has been considerable force." They deny murdering the 49-year-old by striking him on the head and body with a hammer and a knife, on April 3 last year. They also deny attempting to defeat the ends of justice by washing bloodstained clothing and concocting a false story. Dr Turner is still giving evidence. The trial before Lady Rae continues.